Usually, I write about things that are gone from Disney parks. But not always. 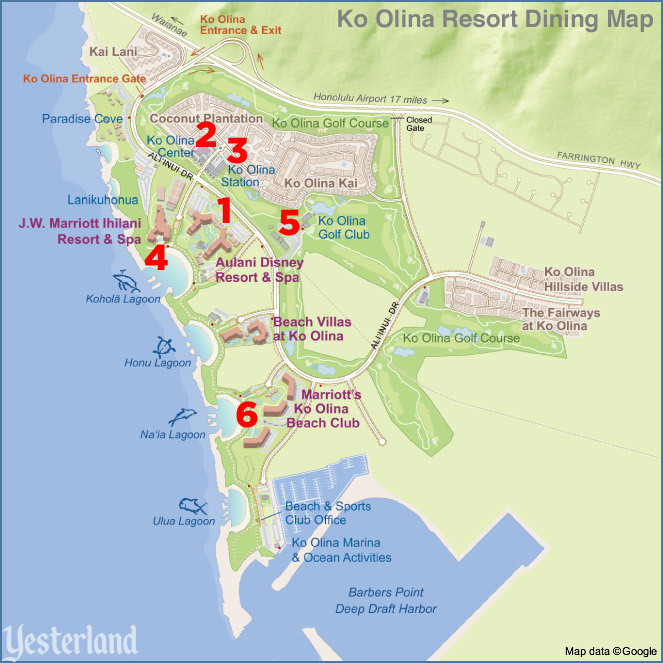 This is my 26th article about Aulani, a Disney Resort & Spa, Ko Olina, Hawai‘i. 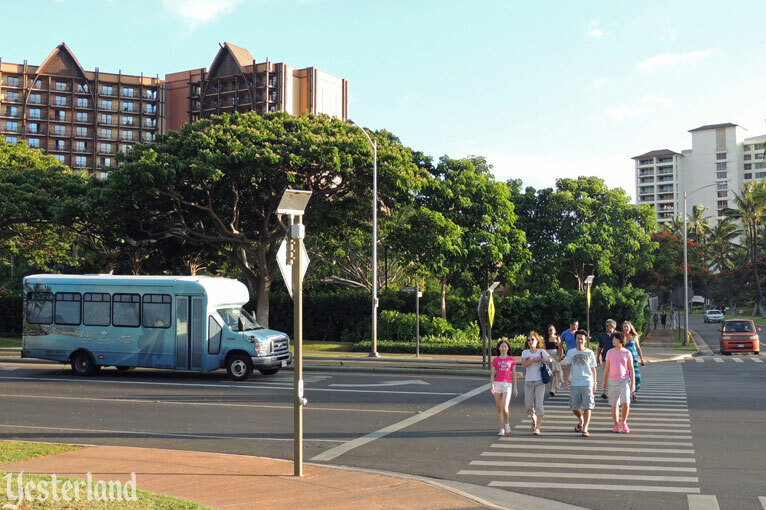 Today, we’ll take a quick look at 15 restaurants in walking distance from Aulani. 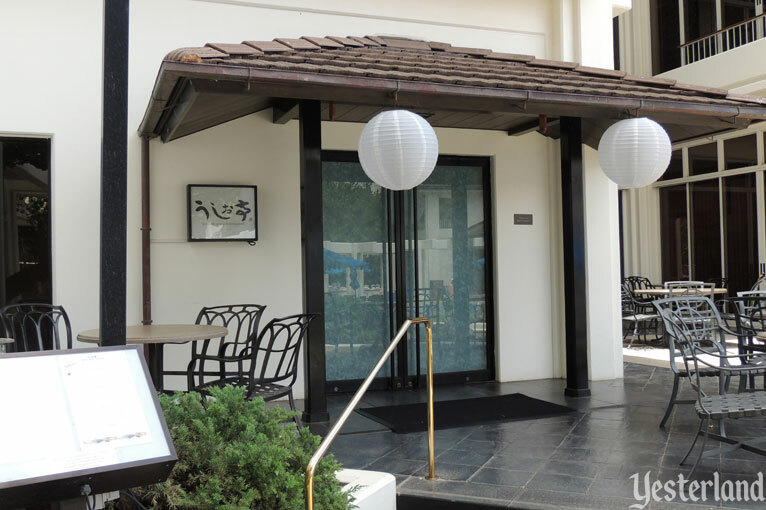 NOTE (08/29/15): The JW Marriott Ihilani Resort and its restaurants closed March 9, 2015. After an extensive renovation, the property will reopen in 2016 as the Four Seasons Oahu at Ko Olina with new restaurants. Fine dining at ‘AMA‘AMA Contemporary Island Cooking. But you’re not limited to the on-site restaurants of Aulani. All it takes is walking across the street or along the pathway that connects the nearby lagoons. Aulani, the 21-acre Disney resort, is part of the 642-acre Ko Olina Resort development on the west coast of O‘ahu. 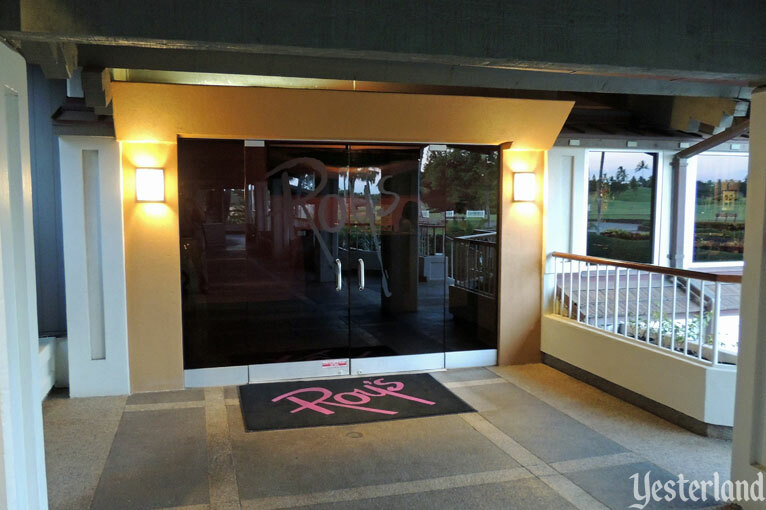 There were already other restaurants at Ko Olina before Disney arrived on the scene. As Aulani neared completion, more restauranteurs saw an opportunity to serve hungry guests staying at the Disney resort. The red numbers on the map above correspond to the numbers in captions under the restaurant photos below. The purpose of this article is to introduce you to what’s available, along with some quick observations. 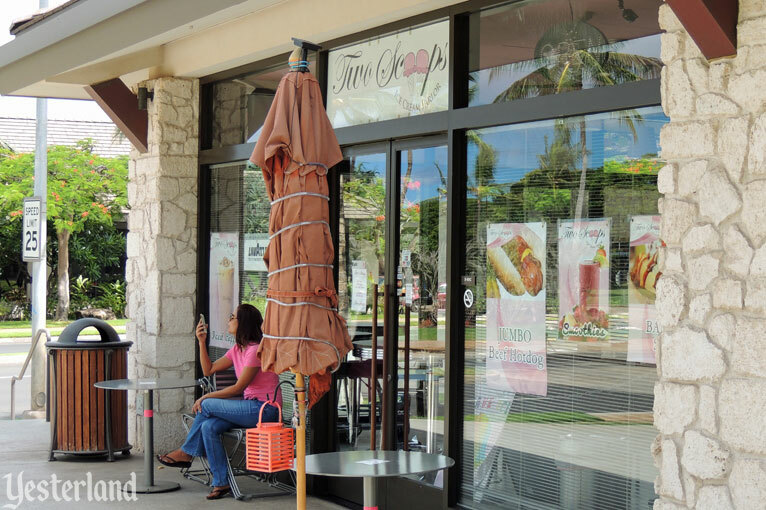 For detailed opinions about each eatery, you can check “Kapolei, HI” in Yelp, TripAdvisor, Urbanspoon, and other online resources. 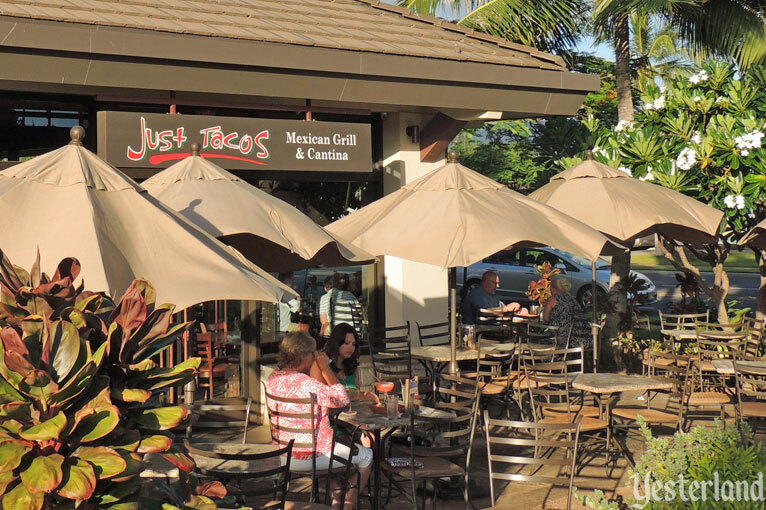 Just Tacos is the third location of the Hawai‘i-based taqueria chain. The name is misleading because the menu actually offers a full spectrum of Mexican dishes—not just tacos. Its tequila bar offers 300 different types of tequila. Despite the full menu, it feels more like a drinking spot than a place for families to dine. 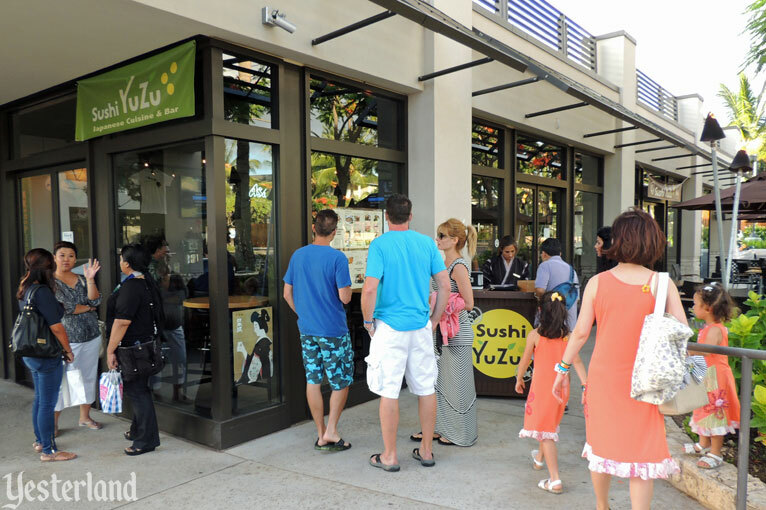 Aulani does not have a Japanese restaurant, so it’s natural that a sushi place opened across the street. Named after an Asian citrus fruit, YuZu emphasizes organic ingredients. 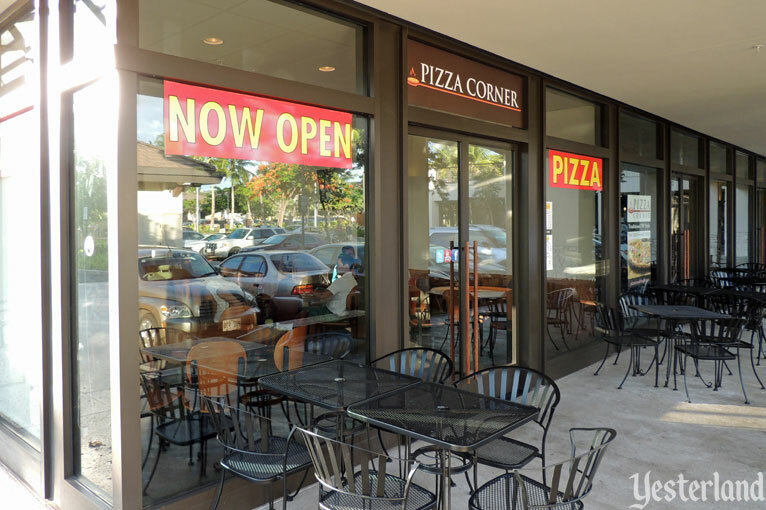 Pizza Corner makes New York style pizza with all the traditional toppings you would expect from pizza of the Empire State. If you want your pizza to reflect the Aloha State, you can order Kalua Pork Pizza—kalua pork with fresh mango salsa, mango chutney, mozzarella, and green onions. 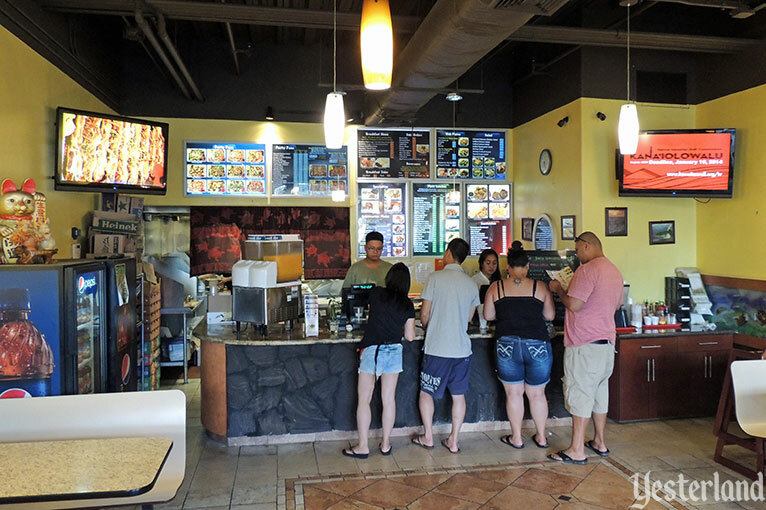 All over Hawai‘i, quick-service chains and local spots offer something called a “plate lunch,” which is typically Asian-influenced chicken, seafood, or beef served with two scoops of white rice and a scoop of macaroni salad. At Ko Olina, the “plate lunch” place is Ko Olina Hawaiian Bar-B-Que at Ko Olina Center. Try the BBQ chicken or grilled fish. If all that white rice and macaroni salad seems like too much starch, have one or two scoops of brown rice instead. Chef and restaurateur Peter Merriman is a culinary legend in Hawai‘i, and a meal at his Monkeypod Kitchen demonstrates why. 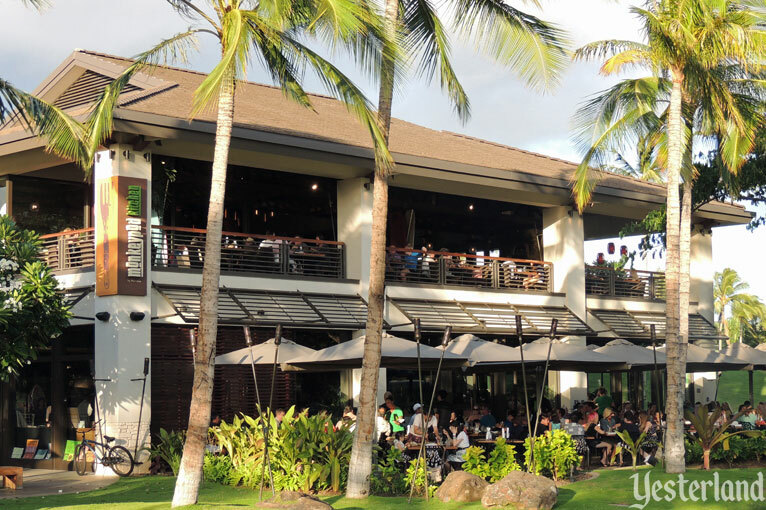 The busy two-story eatery offers a wide range of choices—such as wood fired pizza, hamburgers, tacos (try the Bulgogi Pork Tacos), noodles (try the Saimin), or fresh seafood (try the Organic Macadamia Nut Crusted Mahi Mahi)—with a wide range of prices. The value is good for a Hawaiian resort area. In fact, it can be a bargain during Happy Hour, with specially-priced menu items and drinks from 3:00 to 5:30 p.m. and 9:30 to 11:00 p.m. every day. At Waikiki, ABC Stores seem to be on every block. In fairly small spaces, these convenience stores sell a wide range of souvenirs, groceries, alcohol, pool and beach toys, grab-and-go food items, health and beauty items (notably sunscreen), and macadamia nut gift packs. Prices are far more reasonable than at hotel-operated shops. 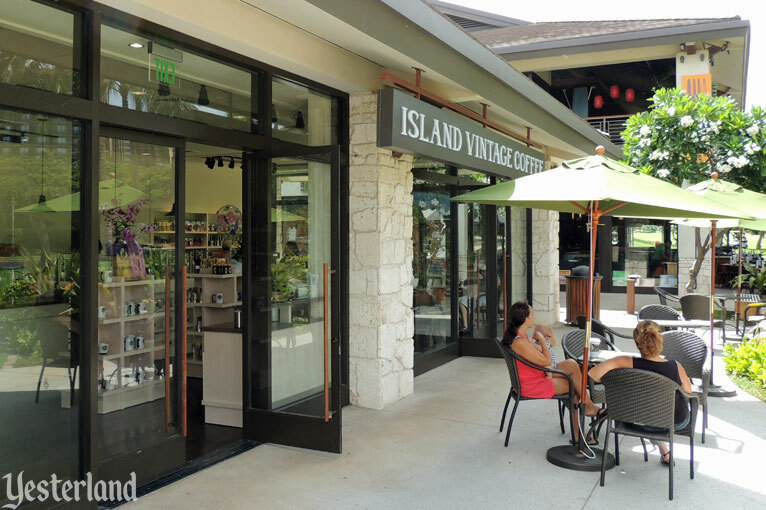 At Ko Olina, ABC operates a single larger, more upscale store. 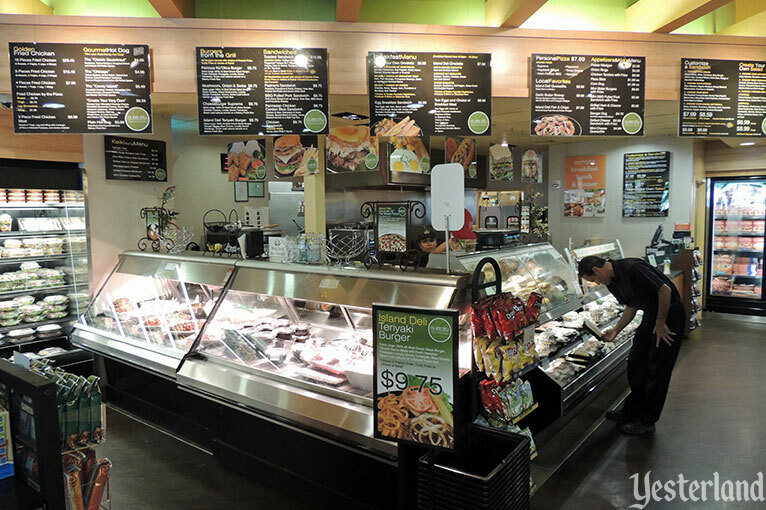 Along with an expanded grocery and wine selection, there’s an attractive deli offering sandwiches and prepared foods. Although there are a few tables outside, your best bet is to take your meal back to your room or villa, and enjoy it on your lanai. The scoops at Two Scoops are Dave’s Ice Cream, a local favorite made on the island of O‘ahu. Oddly, there’s also an English tea room inside. At Island Vintage Coffee, the emphasis is on gourmet 100% Kona coffee—brewed or packaged—but you can also get breakfast or lunch. One popular breakfast choice is the Acai Bowl with fruit, and honey, and granola. Opened in 1993, the Ihilani was the first—and for a long time, the only—resort hotel at Ko Olina. Branded as a Nikko Hotel for most of its early years, it switched to the JW Marriott brand and a new owner in 1999. Ushio Tei, the resort’s Japanese restaurant offers an authentic, high-quality Japanese buffet four nights per week. 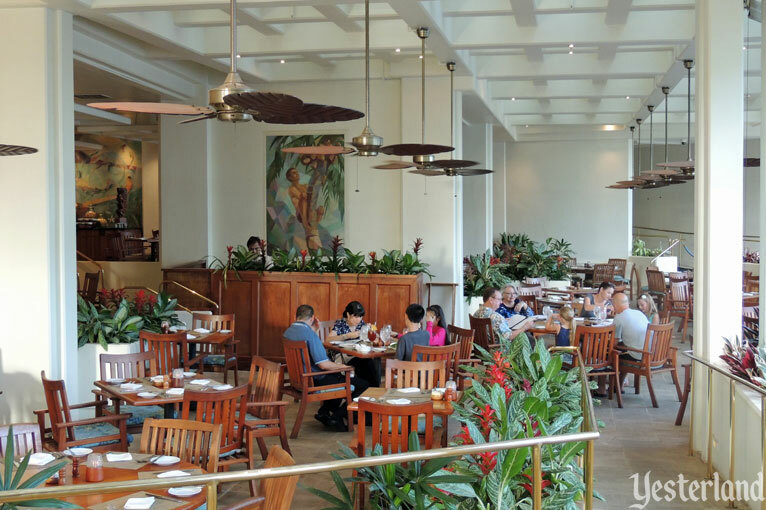 Naupaka Terrace, the casual restaurant at the JW Marriott Ihilani, is a dependable choice for breakfast, lunch, or dinner. Choose from a mealtime buffet or the ala carte menu. The breakfast/brunch buffet is spectacular. The “Sunset Dinner Specials” menu provides great values—at least by Hawaiian resort standards—if you arrive between 5:00 p.m. and 6:00 p.m. (not available Saturday). Azul is the fine-dining restaurant at the JW Marriott Ihilani. The cuisine is Italian, while the ingredients are often local. This is one of three fine-dining restaurants at Ko Olina. The other two are ‘AMA‘AMA at Aulani and Roy’s at the Ko Olina Golf Course. 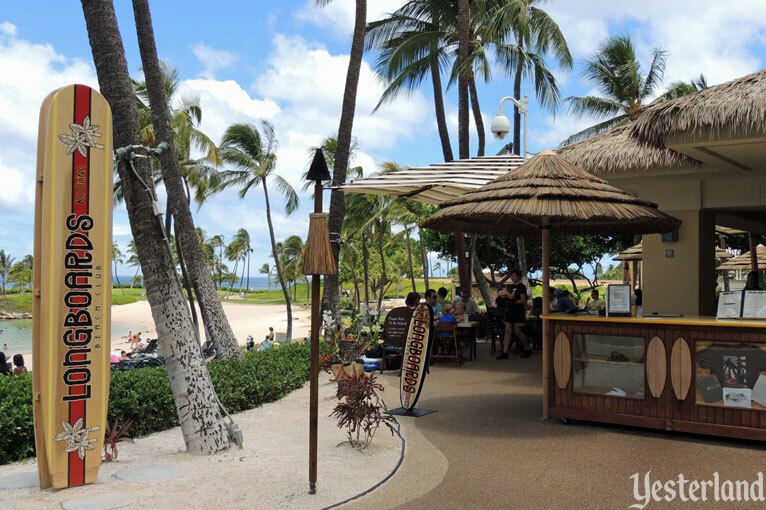 Aulani guests who want their Starbucks coffee fix don’t have to go far. 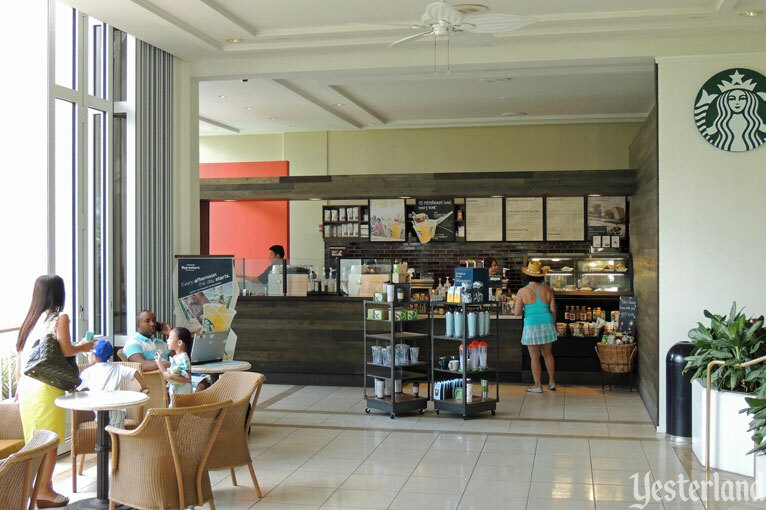 The best part of this Starbucks is that you can enjoy your coffee and baked goodies in the beautiful lobby of the JW Marriott Ihilani. Chef Yamaguchi, Hawai‘i’s first-ever James Beard Award winner, pioneered Pacific Rim cuisine, bringing together Hawaiian seafood, Asian flavors, and classic European techniques. Roy’s at Ko Olina offers inventive sushi too. 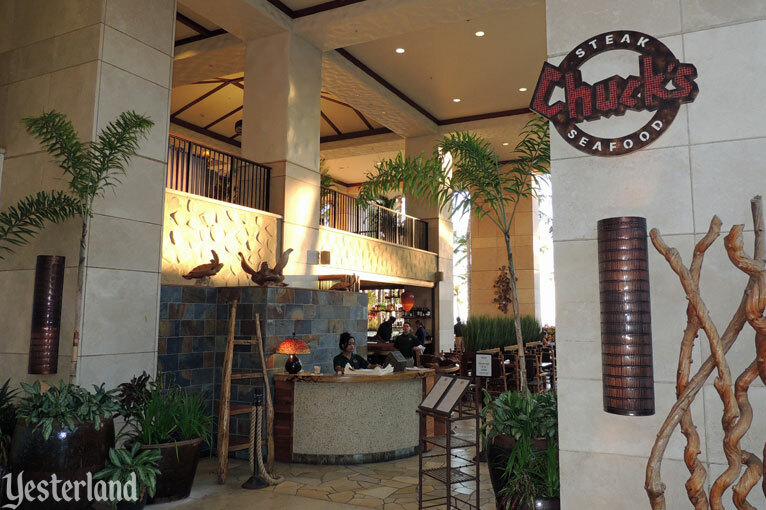 Chuck’s Steak and Seafood is on the ground floor of the central tower of Marriott’s Ko Olina Beach Club. Most diners are probably staying at the Marriott timeshare resort, but Chuck’s is open to everyone. The emphasis at Chuck’s is on beef, fish, and shellfish prepared in a straight­forward way—such as grilling or broiling—accompanied by a traditional side, such as french fries, rice, or a baked potato. A classic 1970s-style salad bar lets diners build salads with their favorite ingredients, as well as serving themselves soup, breads, and fresh fruit. The promise of Chuck’s has kept me coming back, but I can’t say it’s ever really lived up to its promise for me. Maybe next time. Longboards (formerly Kolohe’s) is the other table-service eatery at the Marriott timeshare resort. 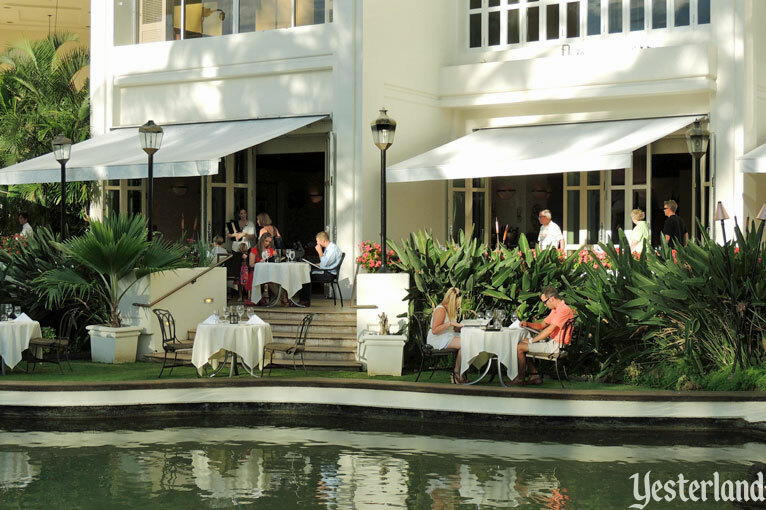 This unpretentious outdoor restaurant with great views of Lagoon 3 is a place to get something like a fish sandwich with fries or pupus and a tropical cocktail. This concludes your tour. Did it make you hungry?